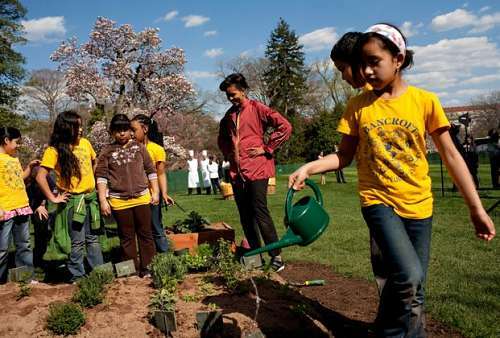 Are you in need of ideas of “green” and fun activities for kids? Most leaders around the world have always encouraged people to adopt practices that will make the planet “go green” and become more eco-friendly. You can also encourage your kids to take part in this mission with some fun activities. You never know: your child may be the a Nobel peace prizewinner in the future. Having a small kitchen garden where your kids can grow their favorite fruits, vegetables, and flowers is one of the best green activities for kids. I can still remember how much I loved my garden when I was a child. This fun outdoor activity for kids will also help them learn creativity and help them to grow up to be responsible people. The great part is that all you need is just a little space in your garden or some flower pots on your balcony along with some seeds and elbow grease. 2. Create a compost pile. Creating a compost pile is a fun activities for kids that will help your child learn responsibility as well as creativity . It will also help your kid find a new and useful way to deal with some kinds of trash. 3. Start any worm farm. We all know that worms help in recycling, especially with grass clippings and dead leaves. they help to create pathways in soil for living plants to breathe and grow. Worm manure can be used to do kitchen gardening in your backyard and help to grow your favorite fruits and vegetables. Here you can get a short “worm farming manual”. This is a great artistic project for your kids. You can have then to take all the used papers from old newspapers and make a brand new sheet of paper. Kids need an adult supervision to do this activity properly and safely since it rquires a blender. 5. Recycled arts and crafts. There are also many fun indoor activities for kids to do. You can have your children collect recyclable waste—like paper towel rolls, Kleenex boxes, plastic cutlery, old DVDs and CDs, empty soda bottles, and several kinds of craft supplies like glue, ribbon, string, etc. 6. Create reusable grocery bags. You can teaching your kids how make reusable bags. This is a great art activity for preschoolers. only a small percentage of grocery bags are recycled. This activity will not only help your kids get involved in the “going green” mission but is also a great fun art activity for kids. 7. Go for a nature hike. Many kids spend most of their time indoors. Many do not even take an opportunity to take a walk. 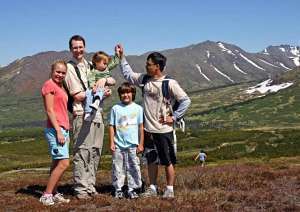 A nature hike is one of the best kids activities since it gives your kids an opportunity to explore what nature offers. 8. Make a backyard home for neighborhood animals. Many animals are threatened by many human activities. Your kid help create a welcoming habitat for the local wildlife while enjoying views of birds, butterflies, and small mammals. Here you can find a huge list “plants and scrubs attracting butterflies”. I believe with these 8 fun activities for kids, you will not only nurture their artistic ability but also contribute to making the world a better place today and tomorrow through reduced environment degradation.